Bring Your Wedding to Life. Welcome To 7D Ranch Texas! Located in the Brazos valley, we are a working cattle ranch situated on 1600 acres located just outside of Navasota, TX. With the rolling hills as our canvas, we are the perfect backdrop for you to come and share in the Ranch Lifestyle we so love. We have many amenities and activities, and are sure to have something to please everyone. We look forward to sharing the ranch lifestyle with you. Everyone knows that our ranch is an awesome place to stay for single night, a weekend getaway, a business trip, or just a family relaxing vacation. You can either rent a private suite cabin or a bunkhouse style cabin. Enjoy all of our activities while at the ranch! 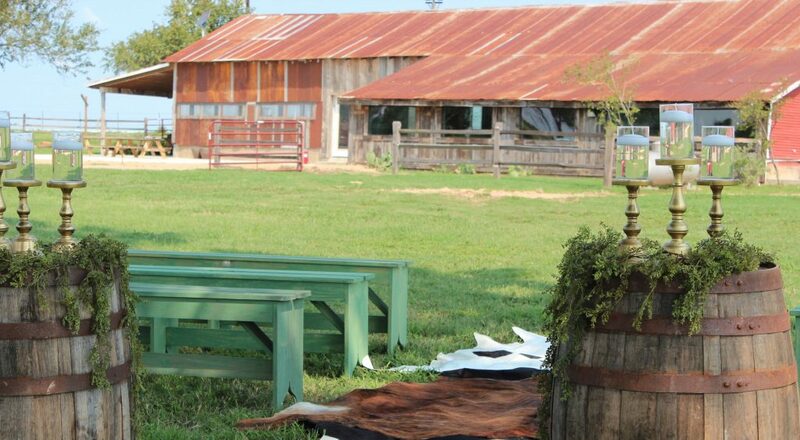 Let our team at 7D Ranch bring to life an event that your guests will be talking about for years to come. We understand that there are many reasons to have events; business, social and weddings and that for each reason there are many ways to create that unforgettable memory. 7-D Ranch offers many breeds and classifications of cattle at one of our several pasture locations in Central Texas. Among our preferred breeds are: Angus +, Brahman, Black Baldies +, Braford, Brangus, Brangus Baldies, Hereford and Tigerstripe. 7D Ranch offers Grassfed beef for purchase. 7D Ranch Texas offers year round exotic game hunting packages that include guides, lodging, caping, meals, and more. 7D Ranch Texas offers Axis Bucks, Black Bucks, Fallow Deer, Red Stag, Wild Hogs, and Whitetail. Enjoy all of our amenities while you are here. Copyright © 2016-2018. 7D Ranch Texas. All rights reserved. Website development by Strattmont Group.